Councillors said lessons must be learned as they agreed the four Mayview blocks should be torn down and replaced by council houses. Fife Council housing officers had said the 1960s-built blocks were in such poor condition they were not worth repairing and had become difficult to let. They said people were refusing to move in because of the anti-social behaviour of some tenants and there was a high rate of residents asking to move out. East Neuk Liberal Democrat councillor Bill Porteous said the management of the flats must be reviewed. He accused the council of a lack of consultation with tenants and flat owners, a failure to repair properties brought to their attention and a lettings policy which had led to years of decline in the blocks. “Fife Council has been bringing in people who have, quite frankly, taken the place apart,” he said. Conservative councillor Linda Holt said the council had a duty under legislation to house people and that should be explained to the public. She added however: “There have been unnecessary delays in making decisions about Mayview flats, a lack of information to tenants and a failure to respond to tenants’ questions which has really upset people. Twenty-two of the 40 council-owned flats are unoccupied and owners of the four private properties would be compensated. Head of housing John Mills said it would cost £4.2 million to modernise the blocks, more than double the £2m cost of demolishing them and building anew. He said the council had been consulting with tenants, residents and owners since 2016 through surveys and engagement events and most had agreed the flats should be knocked down. Individual meetings with tenants and residents began last December to ensure households were offered support and advice on their opens and rights, he said. 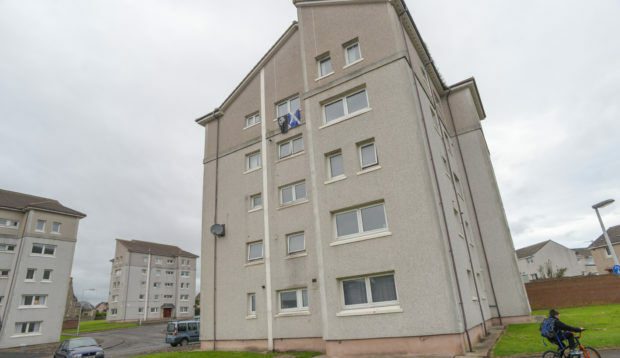 One tenant, who asked not to be named, welcomed the request for a review claiming many people felt let down, particularly by the anti-social nature of some of the residents placed in the flats. “We’ve now resigned ourselves to going but we’ve tried very hard to get things sorted out before it reached this stage,” he said.